Joe and I enjoyed spirits yesterday evening! No not ‘those kind of spirits!’ It was a ‘spirit tasting’ dinner put by Watershed Distillery at the new 1833 Restaurant located in the ‘new’ Inn at Oberlin. 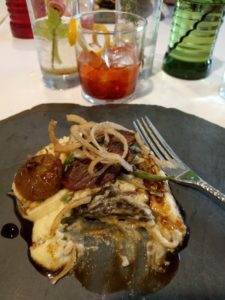 Having not yet been to the new hotel in town we decided that this would be a good way to experience what the restaurant had to offer. The first half of the hotel was completed in May just in time for this years Oberlin Commencement and now the conference center is under construction and will probably open next spring. So back to the restaurant. I love the name “1833”, that being the year that Oberlin was founded and it is 3 years after our house was built which is the same reason our Blog is named the 1830 BLOG! The restaurant is an open concept style with the bar located just inside the entrance off of Main and College Streets. 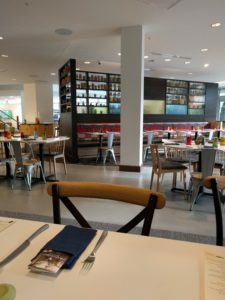 The shelving backdrop separating the bar from the restaurant holds numerous jars of sealed food items The seating area is an eclectic style with some chairs metal and some wood around tables of varying sizes. The lighting is recessed and bright which for evening dining I would have preferred a dimmer light. So we had no problem seeing what we were eating and no eating by candlelight. 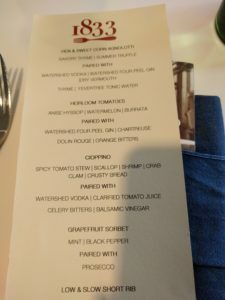 Since we were there for a specialty dinner we did not order from the set menu but instead had a 7 course printed menu with each course paired with one of Watershed Distilleries spirits. We got to taste each spirit and then the chef used that spirit in a signature cocktail. 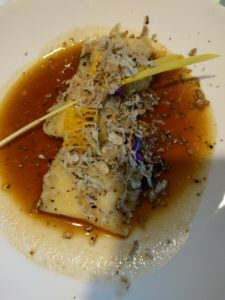 So the 1st course was Hen & Sweet Corn Agnolotti with Savory Thyme,Summer Truffle Paired with Watershed Vodka, Watershed Four Peel Gin, Dry Vermouth, Thyme and Fevertree Tonic Water. 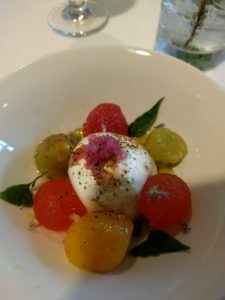 So onto Course #2 – Heirloom Tomatoes with Anise Hyssop, Watermelon, and Burrata paired with Watershed Four Peel Gin, Chartreuse, Dolin Rouge, and Orange Bitters. One word – EXCELLENT! Onto Course #3 – Cioppino with spicy tomato stew, scallop, shrimp, crab, clam, and crusty bread paired with Watershed Vodka, clarrified tomato juice, celery bitters, and Balsamic Vinegar. Two words – Joe’s favorite – SERENDIPITY! 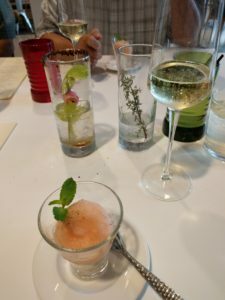 Course #4 was a pallet cleanser of Grapefruit Sorbet with mint and black pepper paired with Prosecco. One word – HEAVEN! Now in comes Course #5, the main entree served on a slate plate, that’s right a slate from an old roof, sterilized of course! So very unique! This was a low, slow Short Rib roasted for 72 hours at 135 degrees and served with cipollini onion, pole beans, smoked blue and potato puree jus. This entree was paired with a cocktail of Watershed Bourbon Barrel Gin, Cynar Campari, and Flamed Orange. One word – OUTSTANDING! 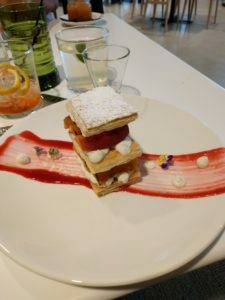 Course #6 arrives – Mille Feuille which is a crisp pastry with carmalized peach, bourbin diplomat cream and raspberry sauce paired with a cocktail of Watershed Bourbon, Ohio peach and cherry shrub, vinegar, and Piment d’Espelette and cinnamon. MARVELOUS! Now here we are with 7 cocktails each on the table and they all were extremely good and not too strong so after 3 hours we were very OK to drive home. It was a little sad that only 2 other couples were guests for this first of many specialty tasting dinners. 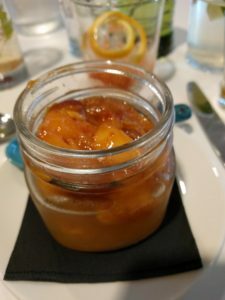 We want to thank the Executive Chef, Jim Barnhart, for the super presentations and superb food and cocktails and we look forward to attending another tasting at the new Hotel at Oberlin. And we will return to sample the regular menu some time in the future! And if you have already dined there then let us know what you think! Since we are a bed and BREAKFAST and only do breakfast, Joe challenged the chef to an Eggs Benedict cook off! Now how will that go? Stay tuned! 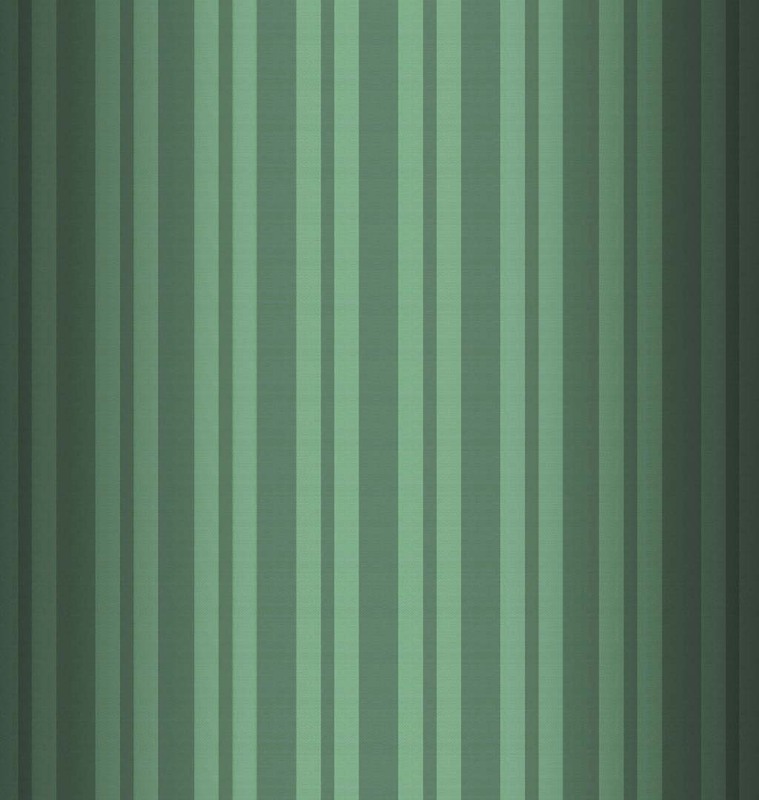 A New Restaurant – RED Chinese Bistro!